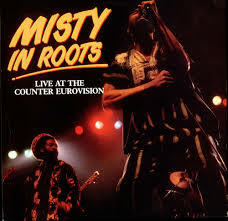 I am not really very keen on live albums. Of course, there are one or two that I might go back to from time to time like Live At Leeds, Live At The Counter Eurovision and, er, Jellyfish Reflector, but truth be told they are generally not my go-to listening pleasure. Funnily enough, though, I have recently kick-pledge-started future live sets from both Dexys and, more recently Devo, but this has more to do with the fact that both offered the opportunity to get hold of signed albums by a couple of my favourite bands than the need to listen to them ‘live on record’. 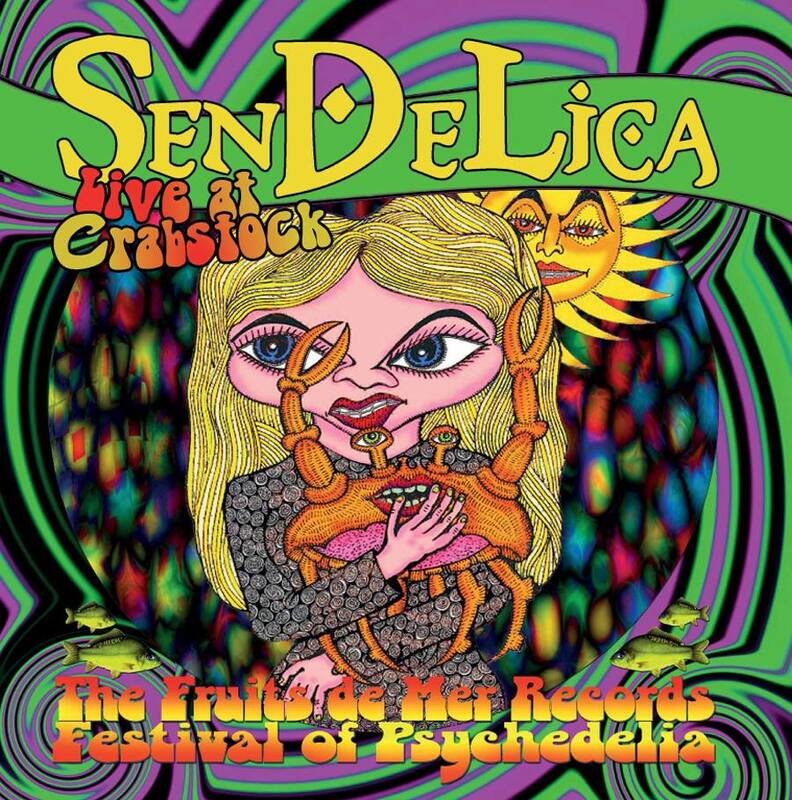 Of course, the other reason I might be tempted by a live album is if I was there, which brings me round to the album I am supposed to be reviewing, the Live At Crabstock release from Welsh underground psychedelic instrumental stars, Sendelica – out on the Fruits De Mer off-shoot label, Friends Of The Fish next month. For, yes, I was there, back in April of this year. You can hear a rather off-kilter description of the day of fun that was the Fruits De Mer Psychedelic Festival held in Cardigan right here, but be warned, certain commentators were notably tired and emotional and unable to tell their theremins from their mellotrons. So, it was with great interest that I listened to this recording of what I recall as a blistering headline set from guitarist, Peter Bingham and psychedelic pals. Could it be as viscerally powerful on record as it most certainly was in person, tiny theremin, wailing sax and all? Well, frankly, yes. This is a great live set with a superbly clear rich sound that most certainly does justice to the musicians on show. It kicks off with what appears to be the sound of desperate voices that are soon blasted to smithereens by the giant guitar riff and pummelling rhythm section that is Standing On The Edge. This very quickly gives way to the roaring sound of Manhole Of The Universe (as it does on the studio album The Girl From The Future Who Lit Up The Sky With Golden Worlds, only this is quicker and more intense) and once again, it’s hats off to the Sendelican bass player who keeps things on track while a plethora of spacey sounds fly around in the mid-section before the sax comes in and you really know you’re listening to something special. The last 5 minutes or so of this track, in particular, are just phenomenal. This is followed by Set The Controls For The Heart Of The Buddha, a FDM fan favourite that builds in stately fashion again around a haunting sax and reverb heavy guitar before slapping you across the chops with its killer riff. The next song Motorik Jam pretty much does exactly what it says on the psychedelic tin from the first note, but it is here that Lord Armstrong Sealand, for it is he, on theremin really gets in on the act. I am pretty sure this is the track where the tiny theremin made its entrance. In any case, it’s one funky little number. Things slow down temporarily with the super moody intro to Screaming And Streaming Into The Starlit Night (from the superbly titled Streamedelica, She Sighed As She Hit Rewind On The Dream Mangler Remote LP) and if anything is going to mangle your dream space, it’s this highlight from the Crabstock set that showcases some outrageously moving sax playing along with everything you could wish for from yer man on theremin, oh, and THAT guitar. Next up a debut outing for the band’s mindblowing cover of Funkadelic’s Maggot Brain – a FDM B-side (you can check out the A-side below – possibly my favourite FDM cover) – that is dedicated to the label’s head honcho, Keith Jones and must now surely be a regular part of the band’s set. The band then finish off proceedings with 12 and a half minutes of Spaceman Bubblegum, a fan favourite from their first album, that nearly brings the roof down (do Cellar’s have roofs?) with its magnificent bass line and slinky sax underpinning a furious guitar assault that ensures all minds present are suitably altered for the better. It’s not the same as being there, but it comes damn close and it’s a trip you should definitely take. You can still get hold of copies through the band’s bandcamp page, although the box set has long gone. There are, as I write, still 8 copies of the limited purple vinyl version, which you really should have. If you’re not quick enough there are CDs and downloads too. 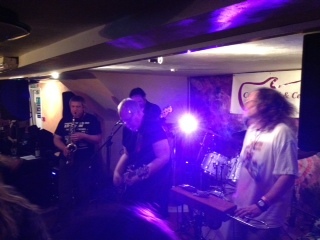 Posted by kickerofelves1 on August 16, 2014 in Blog posts and tagged Album Review, crabstock, fruits de mer, sendelica.